Michels, Dia L., “Look what i see! Where can i be? 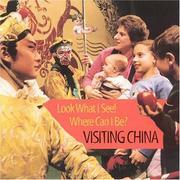 Visiting China,” Children's Picture Book Database at Miami University, accessed April 24, 2019, https://dlp.lib.miamioh.edu/picturebook/items/show/13807.